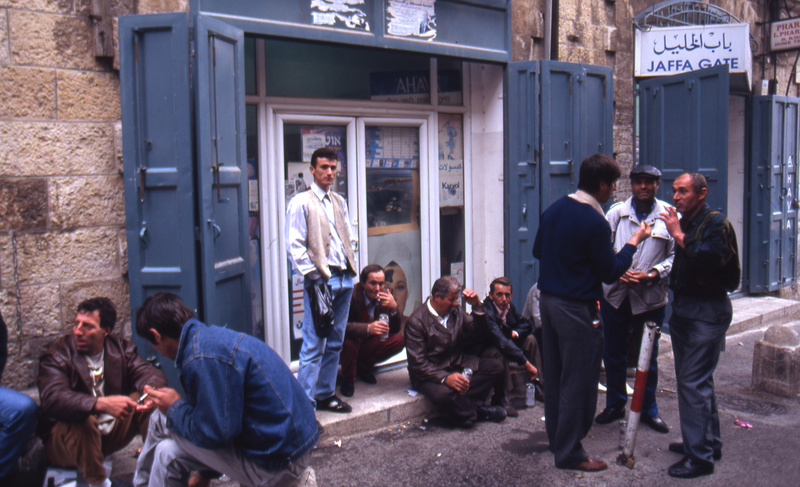 Customers smoke and talk in front of a shop in Jerusalem in 1970. Angelo Cozzi/Archivio Angelo Cozzi/Mondadori Portfolio via Getty Images. We present here the eighth chapter from the memoirs-in-progress of the renowned scholar and author Ruth R. Wisse. Earlier chapters can be found here. Further installments will appear over the next months. Of course, such incidents could cause us momentary anxiety, as could the children’s every illness and accident, but the physical part of child-rearing kept getting easier. That we were the first generation of parents to be blessed with vaccines and antibiotics greatly reduced both disease and distress. The chore of sterilizing bottles gave way to simple soap and water, and diaper services—already a welcome advance over home laundering—gave way to disposables. Upon discovering frozen fish sticks in the supermarket, I felt I should compose a special prayer of gratitude. With our children in a new Jewish day school founded by David Hartman, with me embarked on my professorial career, and with Len competitive at squash and collaborative at work, we had a wonderful life. In those years, departing from the irregular practice of my parents, we also began observing Sabbath eve at home, I lighting candles, Len reciting kiddush. I was no good at public worship, but we needed a context to give thanks for all that came to us unearned. The eve of Sabbath became that ceremonial acknowledgement. Etcetera. I had seen the best minds of my generation go into law and physics, and I hoped the psychedelic action would stay south of the border. Nonetheless, inexorably, the times they were a-changin’—also for the Jews. When Montreal received the go-ahead to host the 1967 World’s Fair, our once-provincial backwater became a prime destination. The city’s bilingualism and biculturalism were burnished to cosmopolitan sheen for the largest ever international exposition until then. On a mild evening in late April, Len and I previewed the displays with artist-friends who had worked on the exhibitions. We toured America’s geodesic dome and the marvelous Czech display, and lingered in the Israeli pavilion. Our official greeters said they expected more than six million visitors over the summer. Israel’s spectacular military triumph in the Six-Day War of June 5-10 alleviated some of the anxiety of the prewar weeks when defeat and devastation seemed likely if not certain. But not all of it. Not only were there the many casualties, whom we mourned, but soon enough the brief military reprieve was cut short by the Arab war of attrition along the Suez Canal. The genocidal threat was in in no way diminished. Meanwhile, with his wonted precocity, my older brother Ben had discovered a second front in our Jewish fight. After the war he and his wife Louise traveled to the Soviet Union to visit her father’s family in Baku, Azerbaijan. One of her cousins, a young man in his teens, gave them a Russian poem he had written about the Jewish struggle for national rights and announced that he intended somehow to leave for Israel. Ben and Louise, who had not expected to meet a passionate Zionist among these formerly unknown relatives, had her cousin’s poem translated into English. The next year we incorporated it into our Passover seder right along with our tribute to the 1943 Passover uprising in the Warsaw ghetto. The family encounter in Baku may also have finally determined the aliyah to Israel that Ben had been contemplating since his teens. He and Louise arrived there, with their children, years ahead of the Russian cousins, spending several months in an absorption center learning Hebrew and then settling in Jerusalem. From the moment they landed, Louise applied herself with vigor to the domestic side of the challenge of adjustment that confronts every new immigrant anywhere, and perhaps with a special edge in Israel. She loved the country, made friends, and in general displayed the grit associated with women in Westerns who learn to shoot snakes as soon as they reach the prairie. Aliyah often turns out to be easiest for those with little ideological investment in the move. Ben’s own adjustment was correlatively harder. He did not want his family to suffer economically and intended to support them as he had done in Canada. Since he could neither start a new textile business nor find one in Israel to work for, he became the sales representative of an American firm. This required months of travel abroad, so that the move that was to have brought him home to Israel ended up keeping him away from it. Happily for us, his travels sometimes allowed for stopovers in Montreal where he stocked up with comestibles still in short supply in Jerusalem, and within a year he had moved the family into an ideal apartment in easy walking distance of the city center in one direction, the Israel Museum in another. The confidence that Ben inspired in me and everyone who knew him made it easy to ignore his personal undertow of depression. I never thought that I was following in my brother’s footsteps, but looking back I see that, as with marriage, Ben’s timing may have affected my own. Len and I acted no less impulsively than he and Louise when we, too, decided on aliyah. The immediate catalyst was a trip to Israel in the summer of 1968 that included a week in the Sinai. During that brief interval when the country was still enjoying the geographical fruits of its military victory, we were able to revisit the landscape of the ancient exodus from Egypt, climb the eponymous mountain, and swim in the pristine pools our guides pretended to discover for us along the way. In contrast to Canada, where history came to us ready-made, here a new script was being written on weathered parchment, inspiring us to move to what had anyway become the center of our concerns. At no other time in our marriage were Len and I so united in action—or so separate in our thoughts. We concentrated on practical details without coordinating our divergent expectations. I quit my job at McGill and insisted the department hire someone else to replace me; for his part, however, Len told his law partners that he would let them know at the end of the year whether or not he would be returning. I, having once been an immigrant, knew there was no going back; Len was a third-generation Canadian with grandparents and parents in Canadian cemeteries and a deep attachment to his native land. Len may well have realized, but never let on, that we were foolhardy not only to sell at a loss the most exceptional house we would ever own but also to give up the professional positions that we had fought hard to acquire, remove our children from their schools, leave parents, family, friends, and a community in which we felt perfectly at home in order to move to where we would never completely master the language. Our move defied the economic law according to which voluntary migration should always be of the upwardly mobile variety. My euphoria on arriving in Israel in June 1971 extended for several months, thanks to the Jerusalem absorption center that housed us until we could get our bearings. Len began an intensive Hebrew-instruction program and soon commanded a better vocabulary than mine, within six months passing the Hebrew exam to qualify for the Israeli bar and then passing the law exams that he was permitted to write in English. Billy and Jacob, nine and six respectively, spent that first summer in preparatory Hebrew classes to ready them for the regular school they would start in September. From her first day in nursery school, Abby—just short of her second birthday—came home potty-trained. As for me, I prepared the classes I would be teaching in the fall, and by September, with the help of cousins, had found an apartment to rent—not a moment too soon, since our few months in the government facility had so accustomed me to being cared for that I was now a little fearful of going out on our own. You heard it here first: welfare dependency can become a way of life. Fortunately, we had not counted on any long-term assistance. Knowing it would take Len time to qualify as a lawyer and find employment, I had secured both a tenured position at Tel Aviv University and a part-time teaching appointment at the Hebrew University in Jerusalem. In keeping with the country’s still-pioneering spirit, the process was entirely informal. I was hired for the Tel Aviv position by Benjamin Harshav (whom I knew as Hrushovski), the founding chairman of the university’s new department of comparative literature.. It happened at a Hungarian cafe in downtown Montreal during a break in a conference he was attending at McGill. At the time, we were both writing about Sholem Aleichem, and during a terrific conversation he told me that his department was about to add a Yiddish position. When I said we were coming to Israel, he offered me the job and I gratefully accepted on the spot. In the meantime, Khone Shmeruk at the Hebrew University had hired me to teach one course on Yiddish literature, with prospects for more if he could secure a line in the budget. By the time the Tel Aviv contract came through, I thought I had better take both jobs for the extra money. If my luck seems too good to be true, it was. The two departments were so different that I was unable to adopt the same approach or the same curriculum for both. Moreover, once we settled into our routine, Len, retooling for work in a different language, legal system, and society, was even more harried than I, making us all the more grateful for the help we received from Israeli relatives and from Ben and Louise, who had a head start in the resettlement process. But where did I imagine I was? Yanking up the sleeve of his white coat to show me—and the several customers now gathered behind me—the blue numbers tattooed on the inside of his arm, he yelled, “Are you crazy?! Do you think you can come into my business and tell me how to run it? !” In a flash everyone seemed to be shouting—at him, at me, and at the absent pursuers who were still hunting some of us down no matter how far we had escaped from them. I returned to the car and, working hard to calm myself, drove to the midtown pharmacy, got my prescription filled, and returned home to be reassured by the neighbor that the children were no worse off. But I had learned my lesson. Others of this country’s inhabitants had reason to be more anxious than I. No matter the provocation, I vowed to stay sober and restrained. My resolve was often tested. Once after picking up the children at school I took them for supper at Wimpy’s (pronounced Vimpy’s), Israel’s precursor of MacDonald’s. As they enjoyed their burgers, seeing my chance for a couple of easy meals for the rest of the month, I asked for a half-dozen frozen Wimpys to take home—at the full regular price. Refusing, the manager shouted: “Here in Israel, mothers cook for their children. They do not rely on frozen food.” Rude to reprimand a mother in front of her children, stupid to turn down an easy profit, he was outspoken in a style I tried to learn to appreciate—when it did not make me cry. One of the things I had actually hoped to find in Israel, in addition to the ease many Jews feel when landing in the Jewish state, was a place to argue. If you’ve been consigned to playing tennis on asphalt pavement in a municipal facility where you have to sign up in advance for a half-hour of court time, you know how to appreciate a sports club with reactive surfaces and limitless privileges of membership. Israel was the Wimbledon of disputation. My friend Gita in Montreal had put me in touch with her friend Marcia, wife of the writer Hillel Halkin, one of the two men in Israel I most wanted to meet. I had read an article of Hillel’s in Commentary, “Hebrew as She is Spoke,” about the complications of adapting the sacred language to common speech. In it he described how, at the turn of the 20th century, Jewish nationalists like Eliezer Ben-Yehudah pioneered the revival of Hebrew as a spoken language so that the “sleeping beauty . . . once awakened would again become a princess among tongues.” Following the princess from her sequestered palace into the streets, Hillel moved gracefully in this essay from dense philological analysis of classical sources to anecdotes about slang usages he’d discovered after his own move from America to Israel. So I was delighted when Marcia invited us over for an evening. They were renting a Jerusalem apartment from Yehuda Amichai, Israel’s favorite contemporary poet, who was abroad for the year. (I’m not name-dropping, just conveying the effortless interconnectedness of our new life with Israel’s literary community.) It was already dark as Len and I stumbled through Yemin Moshe, today one of the most desirable neighborhoods in Jerusalem but then a designated artist-and-writer’s-colony undergoing construction. Getting to the house required descending a poorly lit stone stairwell and crossing a single-file wooden plank linking sidewalk and doorstep over what looked like a dark sea of mud. The adventuresome approach stoked my excitement. When Marcia opened the door, she said she had also invited another couple and introduced us to Ezra Mendelsohn—the second person I had most wanted to meet!—and his wife Judy. The work of Ezra’s that had caught my interest, Class Struggle in the Pale: The Formative Years of the Jewish Worker’s Movement in Tsarist Russia, moved easily between politics and culture in just the way I aspired to do in my teaching and writing. He read the fiction of Y.L. Peretz to understand the Jewish labor movement just as I read about the Jewish labor movement to appreciate the writings of Peretz. Hillel and Ezra constituted the intelligentsia I’d dreamed of joining, and here they both were. That evening we talked about neither Hebrew nor the class struggle—at least not directly. Someone’s comment about a cleaning woman spun into reflections on employer-employee relations, which led to the question of whether interaction with Jewish domestic help in Israel was in any way different from our experience with Gentile help in North America. Hillel floated the idea that instead of relying on others, we should be required to clean up after ourselves. As the ones handling most of the housework, we women parried, “Easy for you to say.” Hillel, unfazed, rejoined that who did what did not affect the principle of the thing. I suggested he was mistaken on moral grounds, citing my father’s teaching about the importance of decent pay for those in one’s employ. Had Hillel considered the women who depended on work for their livelihood? Our discussions were talmudic rather than Socratic, which is to say they were unresolved, and in my case they continued long after my head hit the pillow, arousing fears lest good argument fracture new friendships. Ezra was tall, dark-skinned, a natural athlete—and compulsively ironic about the things he loved. Hillel was slighter, blond, a sailor rather than a basketball and tennis player, not as biting at his own expense. Though I assumed they were close friends, they had actually been brought together by their wives, both of whom were talented dance therapists. I liked both women very much, but common interests made me friendlier with the men—which no one seemed to mind. I was by then through with flirtation, and it would have been hard to find two more uxorious husbands, or two more attractive wives. Both Hillel and Ezra said they moved to Israel to be Jews on their own terms. Too skeptical to assume religious obligations and too independent to join any community of belief, they had come to a place where membership in the Jewish people was just a normal attribute of citizenship. Given that they intended to spend their professional lives immersed in Jewish sources, languages, and ideas, Israel logically best suited their needs. 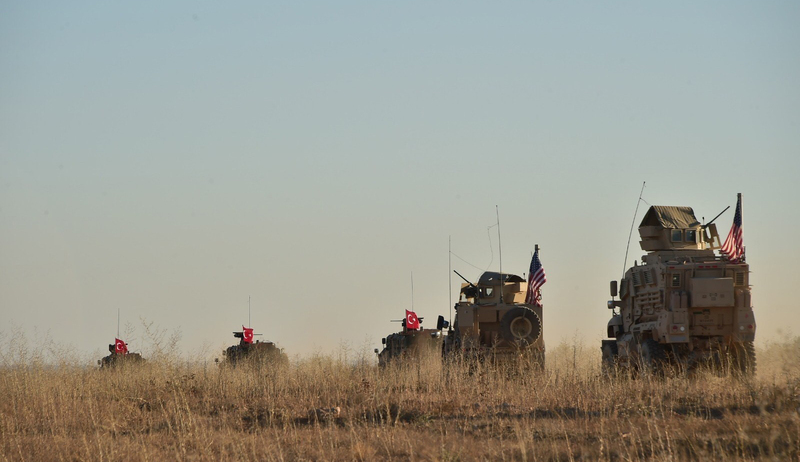 Their reasoning left out that they would have to serve in the military, including the reserves until their mid-forties, live with bank overdrafts, and endure the constrictions of a tiny country surrounded by enemies. In my eyes, they were fervent Zionists who had actually come to Israel out of love, fulfilling an ancestral dream. They both knew Hebrew from home. Abraham Halkin, Hillel’s father, was a distinguished scholar-professor at the Jewish Theological Seminary in New York, and he and his wife had moved to Israel before Hillel and Marcia did. Ezra’s father Isaac, who also preceded him, had left his Orthodox home in pre-Soviet Russia to become first a Jewish socialist, then a Zionist-leftist immigrant to Palestine in the 1920s. A decade later, judging the yishuv to be not Communist enough, he lit out for the U.S., becoming a professor of Semitic languages at Columbia University where Hillel had studied with him (without knowing Ezra). His scholarship was literally grounded in the history of ancient Israel. Had Vilna University allowed my father to study agriculture, he would have settled in Palestine and I would have grown up there. Rerouted instead to chemical engineering, he’d found work in the rubber industry, which then led to deployment in Romania. Like my brother Ben, I undoubtedly absorbed our father’s Zionist aspirations just as Hillel and Ezra did theirs. This common attraction of Jews to the Land of Israel, stretching back to God’s call to Abram in the twelfth chapter of Genesis, had brought us together. But our friendship was soon bound to be strained. Len and I returned to Canada after the end of our first year. There is no elegant or painless way to handle that sentence. The hardest part about leaving was informing our relatives and friends, fully aware that, had they been the ones leaving, we would have felt betrayed. All the while he was struggling to retool as a lawyer, Len had seemed happier than I’d ever seen him. Only when he started working at an entry-level job did he feel he had lost his professional competence. If he did not return now, he would forfeit his future in Canada, leaving him without sound prospects in either country. Ben had likewise concluded that he could not support his family in Jerusalem, and yielded to our parents’ entreaties to return to work in the textile factory that needed his presence. Returning to Canada had never entered my own mind. Everyone we knew in Israel seemed to live so precariously that I had not yet even begun to compute how we could support ourselves, taking it for granted that we could make do on two sources of income. Had I been more mature and better prepared, I might have provided steadying reassurance to Len, but the tremor of both pillars, my husband and my brother, made me fearful, too. I was afraid that our family might collapse, and I did not consider breaking up the family in order to stay. We left with as little fanfare as possible. 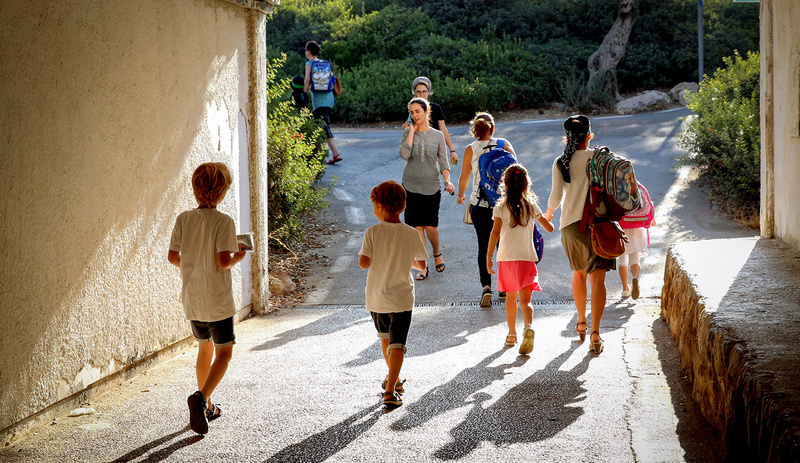 A decade later, during a high-school class trip to Israel, our son Jacob refused to believe the relative who said that we had once come on aliyah with the intention of permanency. We were no less taken aback when he asked why we had deceived him. Len and I had never concealed the truth from the children. We had just never spoken about it at all. I was humbled by our return to the diaspora. My Israeli employers had taken a risk in hiring me, and at Tel Aviv University some students had registered for a sequence of Yiddish courses entailing my ongoing presence. And I had considered living in Israel a moral imperative. All Jews were not required to live in the Jewish homeland, but as long as the burden of defense was as great as it was, I felt we should be sharing it. This was the first time I felt I had undertaken and failed at something of true importance. how anyone who is conscious of living a Jewish destiny could deliberately choose to live it anywhere else than here. (Which is one reason I suspect you will be back some day, and perhaps sooner rather than later.) It seems so—self-denying, somehow; and self-evading, ultimately, too. . . . And though I know you will disagree, I really don’t believe in a Jewish future anywhere else than here: the Jewish novel, yes, maybe, at least for another generation or two, but Jewish history—no. Jewish history already exists only here, and among those Jews who will someday be here. Far from resenting this proposition, I was glad to be held to its standard, and flattered when Hillel said that in planning Letters to an American Jewish Friend, the book-length polemic he wrote a few years later, he had considered inviting me to serve as his real interlocutor instead of the fictional one he created. He was right in assuming that I could not give up on the diaspora because there I was—and no matter how blissful life in Israel might be, some Jews and Israelis were bound to continue living elsewhere. But on the imperative of aliyah, ascent, I agreed that one did not shift the goal posts just because one could not oneself score a touchdown. Hillel expressed my ideas so well that I would have given him my proxy on every subject except what to do about most of the territory Israel had captured in the Six-Day War. He started out advocating the establishment of a Palestinian state along Israel’s pre-June 1967 borders “subject to certain conditions,” on the grounds that a more homogeneous Jewish society on less land was better than more land with a restive Arab population. As if the choice were his to make! I predicted that his “restive Arab population” would see an even easier target in a smaller, more vulnerable Jewish entity than the one it had originally attacked. Several years later, badly chastened by the escalation of Palestinian terrorism, he called me from Israel one day to ask how I, who lived outside the country, could have grasped the situation better than he did. I answered that I had learned political realism from Yiddish literature. Meanwhile, Ezra became a founding member of Peace Now, the movement claiming that surrender of the West Bank was the necessary prerequisite for peace with the Palestinian Arabs. This was the kind of maneuver I had in mind in saying to Hillel that I’d learned from Yiddish sources. Self-proclaimed idealists in the late-19th and early-20th centuries had attributed pogroms and anti-Semitism to Jewish deficiencies that were presumably correctable by Jewish reforms. Russian Jewish revolutionaries promoted the renunciation of “capitalist” occupations in favor of Communist or socialist commitment; their modern Israeli counterparts advocated renunciation of land won in a defensive war. About all this I wrote: “Since Israel’s acquisition of the disputed territories was the result of the Arab war against Israel, it could not retroactively have become its cause.” The unilateral aggression would stop, and peace might come, only when Arab leaders agreed to coexistence. Until then, and beyond, Israel would need to prove stronger than those seeking to destroy it. It was much harder arguing with Ezra who resented my interference than with Hillel who welcomed my involvement. During Ezra’s sabbatical year in America, when our family visited his at the University of Michigan, one of our arguments turned so ugly that Len took me by the arm and pulled me out the door. More difficult for me than the content of our quarrel was the feeling that he was struggling about something more personal. I try not to psychologize politics, but his conflict seemed to originate somewhere in the tension between maternal and paternal influences: a creative inheritance from his mother’s side—her twin brothers were the artists Raphael and Moses Soyer—versus the hard philological scholarship of his father. Yet Zionism finally did bring Ezra some peace, as I would happily witness at a conference in 2004 marking his formal retirement from the Hebrew University. The festive closing dinner included a table for the consuls of the several Central and East European countries whose histories Ezra had plumbed. In rising to respond to the accolades of his students and colleagues, he asked the indulgence of the dignitaries who would not be able to follow his remarks and, switching from English to the native Hebrew of his children, he said he had undertaken the study of history to understand his father. Failing at that goal, he did, however, discover that during his sojourn in 1920s Palestine, one Isaac Mendelsohn had registered as member #37 of the newly founded National Library at the Hebrew University. Ezra imagined that while studying ancient Semitic languages his father Isaac had dreamed of becoming a professor at that same university, and he was happy to have fulfilled his father’s dream. It was Ezra I most had in mind when I once wrote that Israelis are hypocrites in reverse: if the traditional hypocrite professes the virtues he declines to practice, the Israeli practices the virtue he declines to profess. Ezra had written a two-volume history of Zionism in Poland between the world wars and then embarked on the adventure that most of those Zionists had not lived to contemplate, let alone enjoy. Even as he could not assert the greatness of what he and the country had accomplished, he bequeathed his grit to it and to his children. I’d had the idea of publishing with Hillel and Ezra a trio of essays about our three fathers, representing, roughly, modern Orthodoxy (Halkin), Jewish leftism (Mendelsohn), and Jewish national culture (Roskies). Hillel and I wrote essays along those lines, and Ezra’s talk at the conference might have become the kernel of the third; but I ought to have tackled the project with greater urgency. At the end of May 2015 I happened to be in Israel, sitting with Hillel in a café, when we learned that Ezra had died the previous day. Neither of us knew that he had been diagnosed with cancer and given only months to live. I managed to make it to the shiva, where Judy was surrounded by colleagues and neighbors, children and grandchildren. One evening during our stay in Israel in the early 1970s, I went to Tel Aviv to attend the wedding of a recent immigrant from the Soviet Union. The event in a rented hall reflected—to put it charitably—disparate aspects of a society that had not yet fused. The bride’s family and guests were ex-members of the Soviet Yiddish intelligentsia. The groom was a native Israeli on leave from the army; some of his friends were there in uniform. Neither family was religiously observant, so the Orthodox ritual directed by the rabbi under the ḥuppah was jarring rather than familiar. The band played rock with a Middle Eastern touch, with little deference to the occasion or the musical culture of the guests. I found myself hoping that bride and groom were better matched than the components of their wedding. Unable to stay over in Tel Aviv, I had arranged for a ride back to Jerusalem, and was joined by the Yiddish writer Leib Rochman, who was also returning that night. On our way, I said how glad I was for his company and his decision not to stay the night with the others who had arrived with us earlier. “Oh,” he explained, “since arriving in Israel in 1950 I have never spent a night away from Jerusalem. I am her jealous husband. No matter how late, I make sure to return to her before dawn.” It took me a moment to realize that he was speaking not of his wife but of the city. I said I wished that the God of Jewish history had proved an equally jealous lover of His holy city. The cast of this chapter betrays how deficient I am in spirituality. In truth, after a brief bout of devotion in my early teens, I realized I had no talent for faith, and felt very fortunate as a woman not to be called on to pray before the congregation, which would have required more conviction than I could muster. Instead, I’d involved myself in aspects of Jewish national life that did not require pretending to more than I could honestly feel. Yet, on one of our first Sabbaths in Jerusalem, I did suddenly know how desperately, during the many centuries His people were in exile, God had longed to return to His city. We had gone out for a walk, and at some point I experienced the Sabbath quiet from God’s point of view, not my own. Since then I have recovered this same impression on subsequent trips to Israel, but only as an idea, not as a sensation. That certain knowledge came to me only the one time, which was shortly before I traveled with Rochman back to his beloved. Would that God henceforth follows his example.